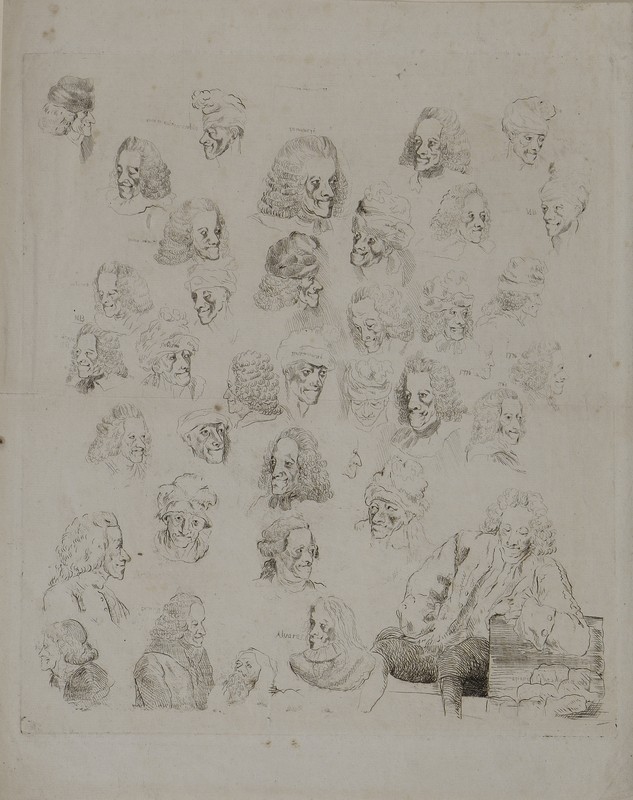 As part of collaborative efforts with the Voltaire Foundation to establish the Voltaire Lab as a virtual research centre, we are pleased to announce a major update of the TOUT Voltaire database and search interface, expanding links between the ARTFL Encyclopédie Project and several new research databases made available for the first time. 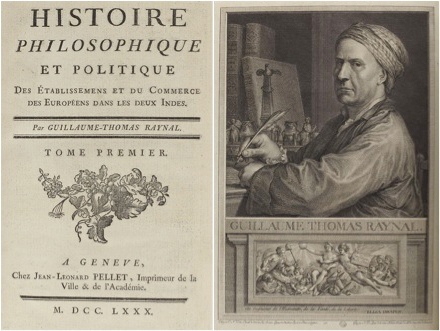 Working in close collaboration with the ARTFL Project at the University of Chicago – one of the oldest and better known North American centres for digital humanities research – we have rebuilt the TOUT Voltaire database under PhiloLogic4, ARTFL’s next-generation search and corpus analysis engine. This Australian Research Council Discovery Project is a cross-institutional collaboration between ANU (Glenn Roe and Robert Wellington), The University of Melbourne (Erin Helyard), The University of Sydney (Mark Ledbury), and Oxford University (Nicholas Cronk). 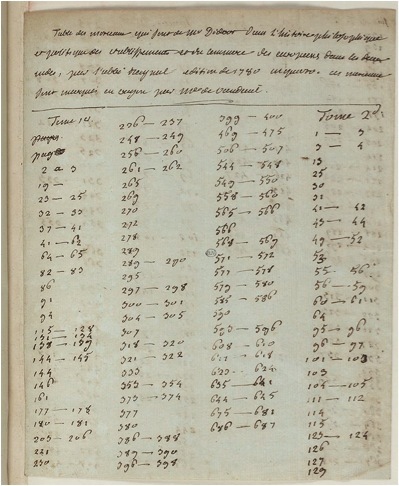 Through the study of a unique and ambitious eighteenth-century songbook – Jean-Benjamin de Laborde’s Choix de Chansons (1773) – our project provides a workable solution to these questions by way of the notion of ‘transdisciplinarity’. First described by the developmental psychologist and philosopher Jean Piaget as a superior stage of interdisciplinary relationships, the transdisciplinary approach implies a total system of interrelated knowledge without established disciplinary boundaries; a system that has much in common with that imagined by Diderot and d’Alembert in the Encyclopédie. We propose that the Choix de Chansons is also in many ways a quintessential transdisciplinary object. As such, it requires a new methodological approach that operates at the interface of interdisciplinary collaboration, rich historical contextualization, and new media dissemination. 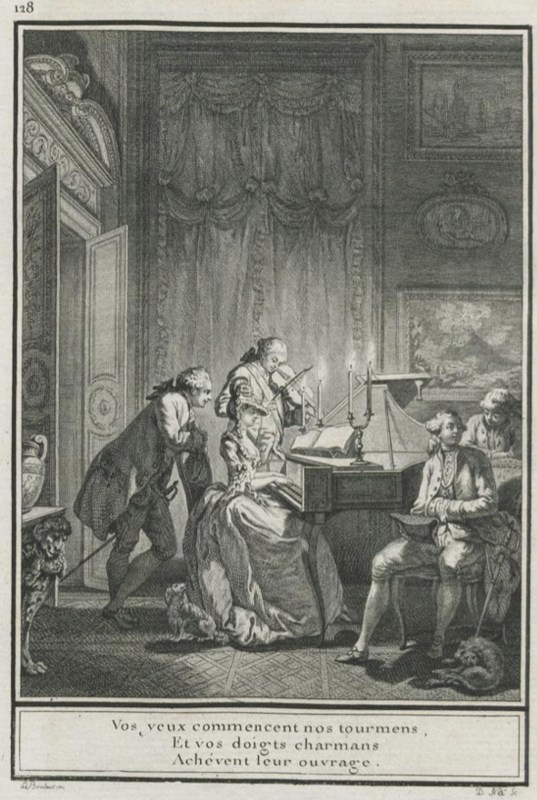 This is the first project of its kind to address the complex transdisciplinary and transmedial nature of both Laborde’s Choix de Chansons, and of eighteenth-century print culture more generally. The complementary disciplines of musicology, art history, and French literature will create a unique transdisciplinary matrix in which our team will ‘perform’ Laborde’s text in order to recreate its original modes of reception, evoking the ways eighteenth-century participants appreciated, decoded, and debated the intersections of music, visual art, and literature. Most often, this kind of cultural consumption was enacted publicly and sensationally at the opera. 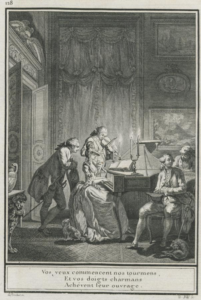 But, unlike such multimedia events, and based on the quasi-democratic principles of Masonic culture, Laborde’s text is meant for a small community of like-minded individuals who commingle their performative experiences in the intimacy of a salon around a single instrument: harp or harpsichord. In many respects, Laborde’s project aims to reproduce – albeit, in miniature – the operatic experience by simulating the close connections between image, music and text. The novel aspect in Laborde’s scenarios is that these connections take place not in the public arena of the opera box, where spectators perform only as audience members, but rather in the chamber, where the participants are no longer merely spectators but themselves performers. This emphasis on individual expression as a meaningful component of a close engagement with others in a culture of sociability and sensibilité echoes the contemporaneous musical, philosophical and social trends. By implication, any attempt at recapturing the creative, receptive, and performative complexity of Laborde’s songbook – or any other complex cultural artefact for that matter – today requires new models of cross-disciplinary collaboration and multimedia dissemination. Our project will provide one such model, aimed at reproducing digitally the cultural context of the Chansons, both as an object of transdisciplinary communication – one that actively speaks from the nexus of image music, and text – and as a product of the cultural and intellectual networks of the time, from courtly and salon culture to the more progressive sociability of the Masonic societies. 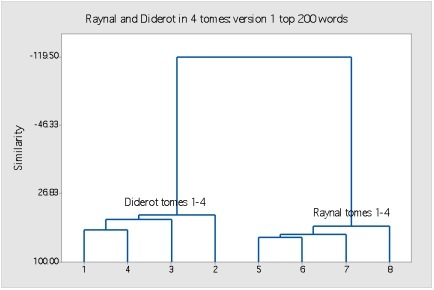 By moving the Chansons from print to digital media we can not only incorporate multiple layers of remediation (image, music, text), but also shed greater light on the various strata – social, intellectual, political, philosophical – that informed the work’s production and its relationship to the cultural networks mentioned above. We will develop a new digital edition of the Chansons that will present high-resolution scans of its pages and engravings alongside transcriptions of the poetry and recordings of the songs. This juxtaposition will expose the image-music-text relationship inherent to the illustrated songbook. text by Glenn Roe, Erin Helyard, Mark Ledbury, and Robert Wellington. 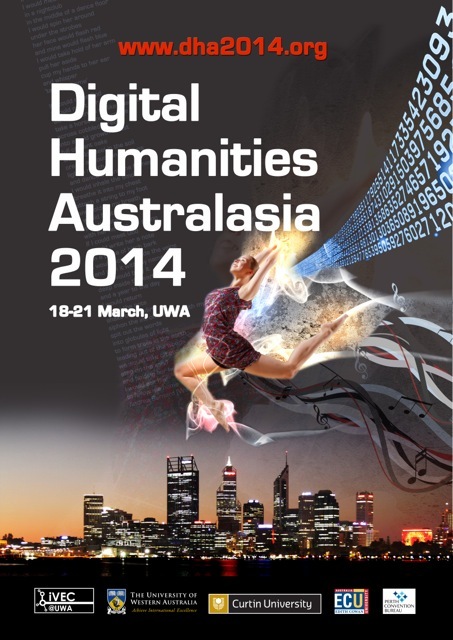 “Performing Transdisciplinarity: Image, Music, and Text in Eighteenth-Century Print Culture” (with Robert Wellington) in Digital Approaches in the Study of Early Modern Culture, ANU, Canberra, November 2015; and Recasting the Question: Digital Approaches in Art History and Museums, The University of Sydney, November 2015. 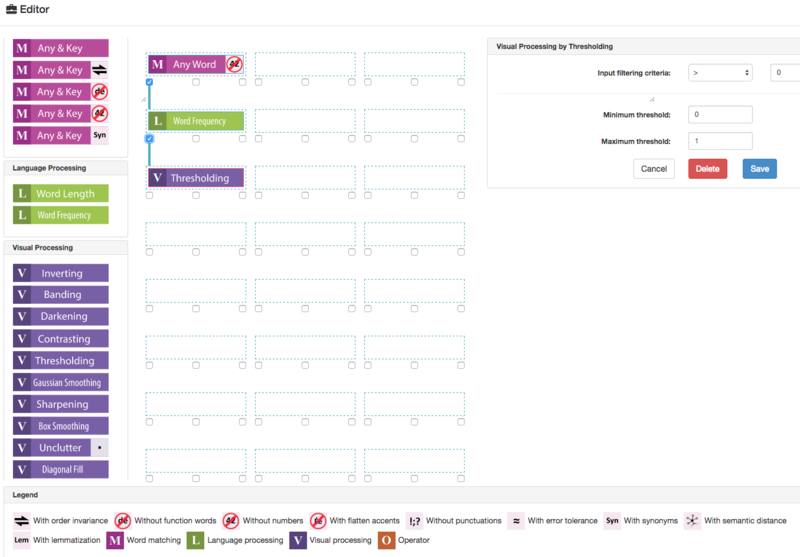 A preliminary outcome of our Commonplace Cultures Digging into Data project, we have developed a web-based visual analytics system called ViTA: Visualization for Text Alignment. 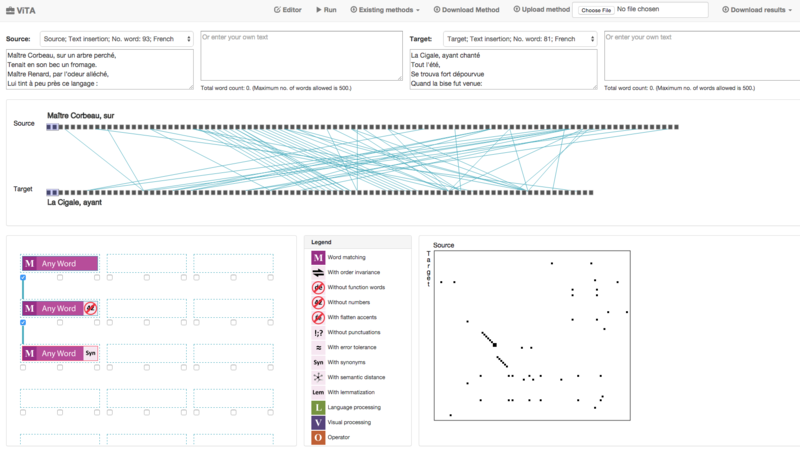 Hosted by the Oxford e-Research Centre at the University of Oxford, ViTA is a web-based visual analytics interface that enables domain experts to construct a text alignment pipeline, visualize the components and connections for any given method (i.e., an alignment model) using image processing techniques, and then test assumptions about the corresponding inputs and outputs. 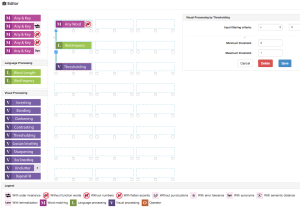 Rather than visualizing the alignment results in a post hoc manner – as is often the case with many available alignment packages – ViTA’s interactive pipeline editing facility essentially becomes a visual programming interface from which users can iteratively build and export more efficient text alignment methods. We are hoping to use the ViTA interface to refine our existing PhiloLine-PAIR alignment algorithms, with the goal of identifying ‘commonplaces’ and other forms of large-scale text reuse in the Gale-Cengage Eighteenth Century Collections Online (ECCO) database. A classic ‘big data’ humanities collection, ECCO currently contains more than 32 million digitized pages from 182,898 titles in 205,639 volumes. 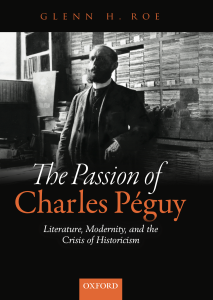 I am delighted to announce that my first book, The Passion of Charles Péguy: Literature, Modernity, and the Crisis of Historicism is now available from Oxford University Press. Those of you in Australia & New Zealand can purchase the book at a 30% discount using this promotional flyer. Summary: In many ways, the development of twentieth-century literary criticism and theory can be seen as a prolonged struggle against the pervading influence of nineteenth-century positivist historicism. Anglo-American New Criticism and later French Post-structuralism and Deconstruction are the best-known instances of this conflict. Less widely known, but no less important to contemporary literary studies, are Charles Péguy’s earlier debates with French academic historicism in the years leading up to World War One. 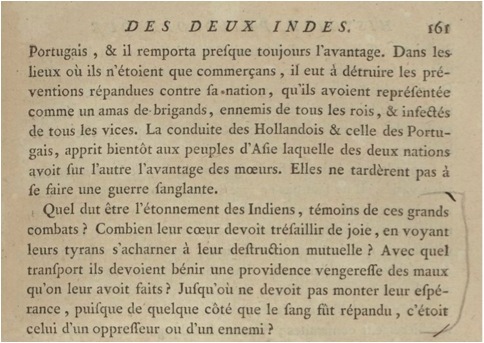 First examined by Antoine Compagnon in his ground-breaking work La Troisième République des lettres in 1983, it is a period in French literary and cultural history that remains, some thirty years later, largely untreated in English. This book thus addresses an important, albeit relatively unexplored, moment in the development of twentieth-century literary history and theory. By way of Péguy’s foundational polemics with modernity and his role in the related ‘crisis of historicism’, we gain a better understanding of the critical basis from which similar anti-positivist and anti-historicist critiques were later enacted on both sides of the Atlantic. In situating Péguy’s passions and polemics within the larger cultural and historical context, Glenn H. Roe invites us to reconsider and re-evaluate Péguy’s place among twentieth-century literary figures. Beyond its literary-critical aspects, The Passion of Charles Péguy provides a general view of early twentieth-century debates related to the role of literary studies in modern society, the reform of the French educational system, and the formation of literary history as an academic discipline in both France and abroad. 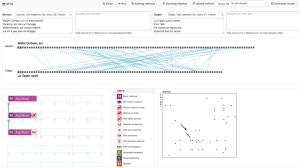 I am very pleased to be one of the co-investigators for a winning project in the third round of the Digging into Data Challenge, an international grant scheme that brings together teams working in computer science and the humanities in the US, Canada, UK, and Netherlands. 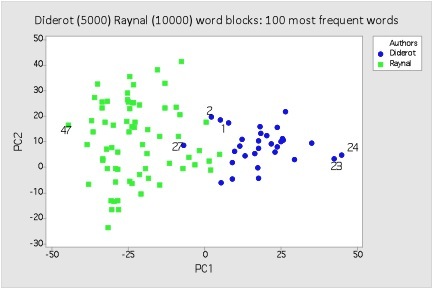 Our project, “Commonplace Cultures: Mining Shared Passages in the 18th Century using Sequence Alignment and Visual Analytics”, aims to explore 18th-century literary culture through the lens of the early modern practice of commonplacing. 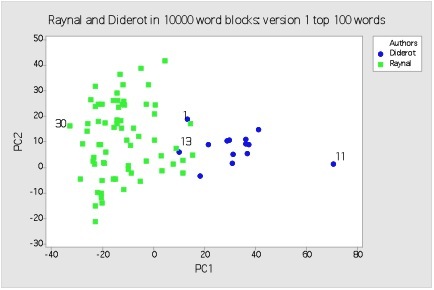 Leveraging previous work on data mining and automatic classification of Enlightenment texts (link), machine learning approaches to textual borrowings and source criticism in the 18th century (link), sequence alignment techniques for identifying intertextuality (link) and citation practices in the Encyclopédie (link), we plan to use these same approaches to examine commonplaces and to visualise their deployment over the largest collection of 18th-century works ever assembled. This project is a partnership between the ARTFL Project and Computation Institute (CI) at the University of Chicago and the University of Oxford’s e-Research Centre (OeRC) and Voltaire Foundation (VF). Bringing together world-class centres for Enlightenment studies (ARTFL, VF) and multi-disciplinary computing applications (CI, OeRC), the team consists of 18th-century scholars: Robert Morrissey (PI, Chicago) and Nicholas Cronk (Co-I, Oxford); computer scientists: Min Chen (PI, Oxford) and Ian Foster (Co-I, Chicago); and digital humanists: Mark Olsen (Chicago), and me (ANU), among other participants. See the new Project Website for more updates. The anthropological gaze and fieldwork of Marc Augé has focussed on societies from the Ivory Coast to Paris. The celebrated author of Non-Places: Introduction to an Anthropology of Supermodernity, In the Metro and Oblivion, Augé coined the term “non-places” to designate ambivalent transit spaces (airport lounges, hotel rooms, supermarkets) that do not inspire feelings of belonging or lasting social relations among the majority of those who pass through. Dr Charlotte Dejean-Thircuir of Université Stendhal – Grenoble 3 is an expert in the fields of teaching French as a foreign language (FLE) and distance education. She is the director of Stendhal’s two programmes in FLE which are taught in distance mode. She has researched and published on student-tutor interaction online; learner communities online; peer-guided learning online. Emeritus Professor Peter Cryle, founding director of the Centre for the History of European Discourses at the University of Queensland, is a scholar of intellectual and cultural history. His current work focuses on the historical emergence of the idea of the normal in nineteenth-century European thinking, especially in France and Italy. This research is focussed on medical and anthropological texts, and is funded by an ARC grant shared with Elizabeth Stephens. He also has a strong interest in French fiction, including middle-brow fiction of the nineteenth century and libertine literature of the eighteenth. 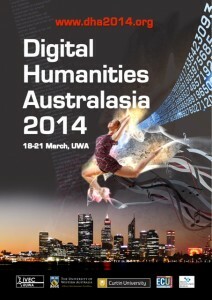 The biennial conference of the Australasian Association for Digital Humanities (aaDH) will be held at the University of Western Australia from March 18-21, 2014. The aaDH was formed to strengthen the digital humanities research community and is a member of the international Alliance of Digital Humanities Organisations (ADHO).